"How community deliberative processes can provide an alternative to divisive party politics and technocratic expertise.... Clark and Teachout complement their case studies with discussions of useful methodologies to bring people together for common purposes ... A valuable tool for improving the way government operates at the local level." [A] convincing argument that time invested in this way benefits everyone in the community and reconnects citizens with their governments and each other. Recommended for anyone interested in being more politically engaged." "Making the case for local control and community action while offering plenty of worthwhile advice, community leader Clark and democracy scholar Teachout tell how to get things done in the public sphere.... [R]eaders who instinctively resist suffocating regulations and Big Brother authorities will welcome the book's insights.... Activists and organizers will appreciate the useful tips, and Clark and Teachout's community strategies will resonate with both conservatives and progressives." 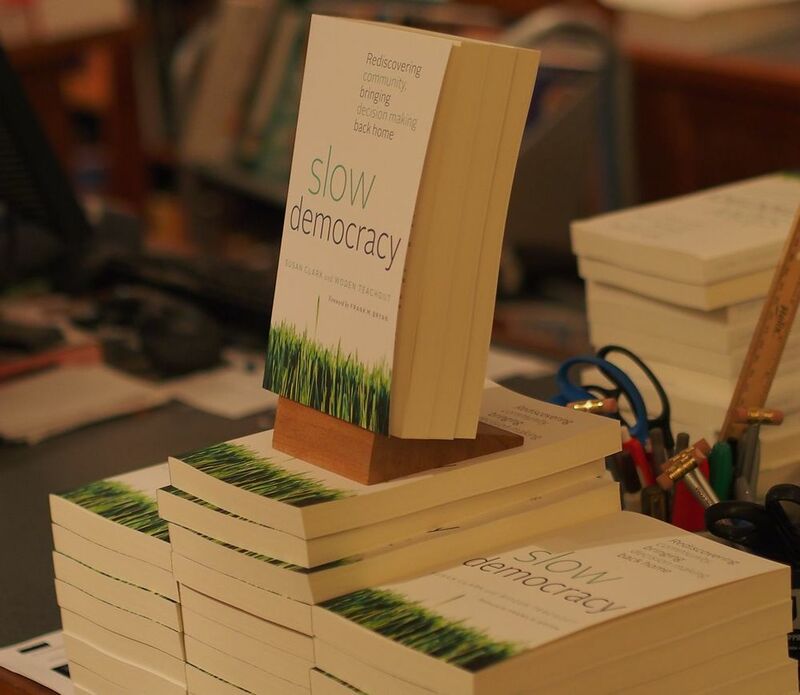 "City councilors, town managers, community organizers, politicians, and average Americans will find wisdom in Slow Democracy and will learn strategies to bolster public participation and thus transform our political landscape." "[A] pragmatic yet heartfelt proposal for deliberative decision making. … the power of this book is in its transcendence of divisive party-politics. [It] is an invitation to citizens across political boundaries to begin to form sustainable and trusting relationships locally."